It is natural to assume that the circulation of literary works would follow the lines of religious orders as a force of networking and collaboration. 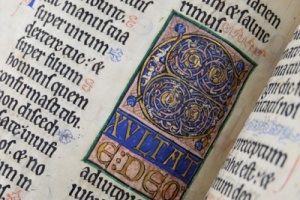 This paper demonstrates how we can gain a much fuller picture of how medieval works were circulated by treating records of works identified in newly digitized booklists on an equal level with existing manuscripts. Surveying the works of Robert of Cricklade and Alexander Neckam at St Frideswide’s Priory, Oxford, and St Mary's Abbey, Cirencester, this paper considers whom these authors aimed to reach, how their books were put to unexpected uses, and how textual communities shaped the publication of their works both during their lifetimes and after their deaths.